Child-size ceramic set welcomes spring in glossy white and soft pink. 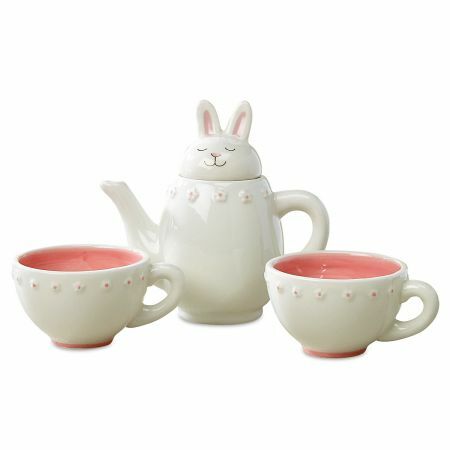 Teapot is 4"H and comes with 2 matching 1 1/2"H teacups. Hand wash.